Hope you aren't sick of the Valentines around here yet.... I have quite a few more to share with you before now and Valentine's Day! 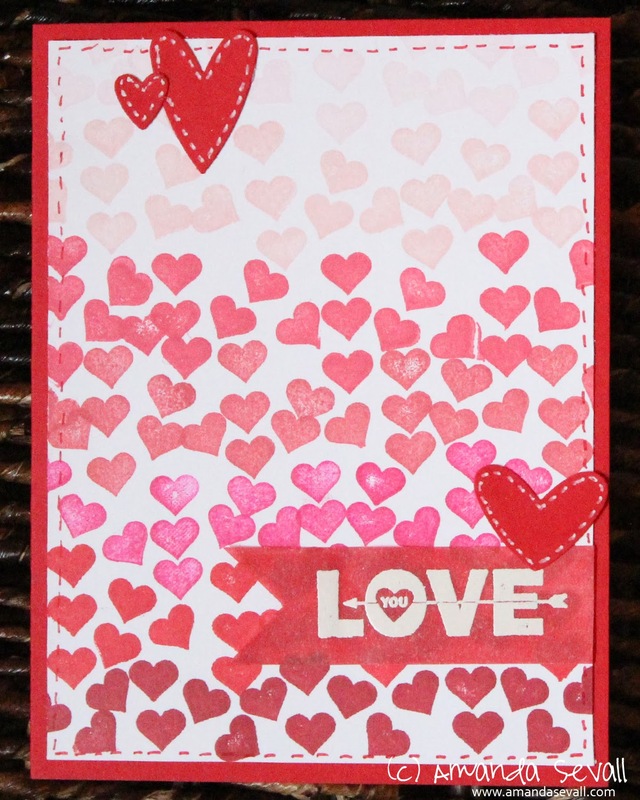 I was inspired to make this one by this card by Kristina Werner. I loved her concept and when I saw the video, I just had to go try and make one! 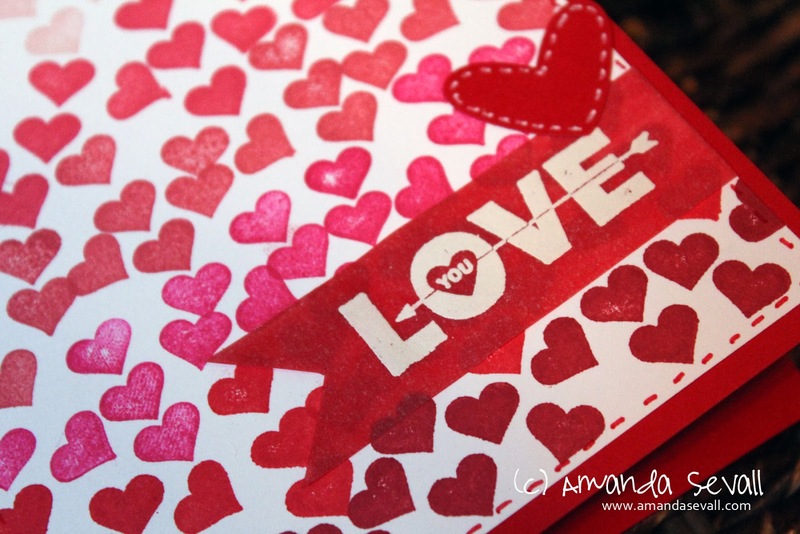 Have you ever stamped a patterned background before? Totally adorable! This would be fun to do with paint where you could make the slightest gradations in tone.